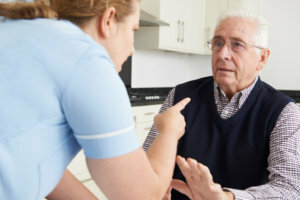 Whenever a nursing home, convalescent home, rest home, or elder care facility commits an act of negligence, neglect, or abuse on the premises that causes harm to a patient or resident, be sure to consult with either a personal injury lawyer or medical malpractice lawyer to make sure your rights are upheld. Whether it is an accident, an intentional act, or a failure to act, either based on facility policy or employee conduct, an experienced lawyer can make sure you receive the compensation you deserve. Proving liability can be complicated, and it takes an experienced medical malpractice lawyer to sort through what exactly happened and determining who is at fault.